Yesterday, I went to the outdoor shops looking for a Goretex jacket. My old one is falling apart and is held together with my constant stitching. The only problem was that they were outrageously expensive. The cheapest one was about $300 and that was really thin and crappy. They had a raincoat for $200. What a joke. I think I will just make do with my old jacket until it totally falls apart. Disillusioned, I found a bus into the city center and grabbed a bus to Sumner, which is on the coast to the east of the city. I went past the estuary of the Avon and Heathcote Rivers. There were some great mud flats with mainly oystercatchers, herons, whimbrel and godwit. I did not have a good look because I did not have my video camera. I will go back in a few days and get some video footage. I got off at Sumner and went for a walk along the beach. I think it was called Scarborough Beach. Along the beach the cliff had collapsed due to the earthquakes and a few houses had tumbled down the cliff. 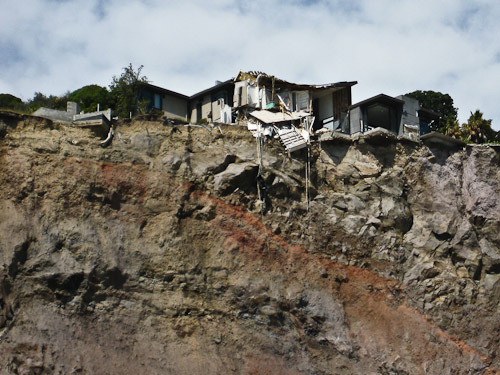 Maybe it is a little bit problematic building a house at the edge of a cliff in an earthquake zone. 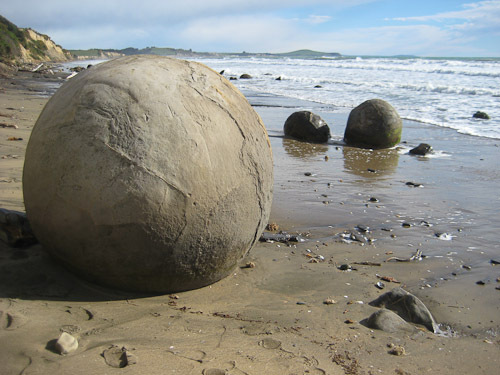 Early Maori had two main settlements near the estuary. They lived here year-round, taking advantage of the plentiful supply of eels, fish and shellfish. Maori used to wade the shallow water of the estuary to fish for flounder by the light of torches, using pronged wooden spears called matarau. The fish were stored for winter food and exchanged with other settlements. 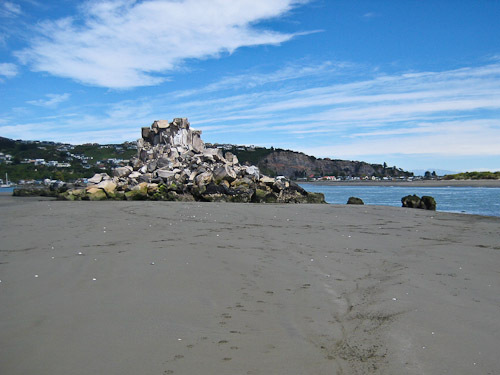 Shag Rock is a column of rock guarding the entrance to the Avon-Heathcote estuary. Further down the estuary, Moncks Bay is an excellent site for observing birds at high tide. As the tide falls the first feeding grounds emerge. Estuary birds feed from varying depths. In this way many similar species can live side by side without competing for food. Across the water is Brighton Spit, where roosting birds can be seen at low tide. Birds seen in the estuary may include Little Shag, Pied Shag, Black Shag, Spotted Shag, White-faced Heron, New Zealand Kingfisher, Welcome Swallow, Pied and Variable Oystercatcher, Black-backed Gull, Red-billed Gull, White-fronted Tern, Caspian Tern and Bar-tailed Godwit. This was my second trip to The Groynes Reserve in the North-west of Christchurch in New Zealand. It is great reserve and is well worth many visits, mainly because you can get so close to the water birds. This is probably because the ducks and such are so used to the continual presence of tourists and they get fed heaps of bread and other stuff which is problematic in itself. The main feature in the video is the presence of the chicks in various stages – Eurasian Coots and hybrid ducklings. I also got some decent shots of an Australasian Shoveler, of which I only had some long shots from my trip to the Sinclair Wetlands to the west of Lake Waihola. All in all I was quite satisfied with the day, although there were no new birds. 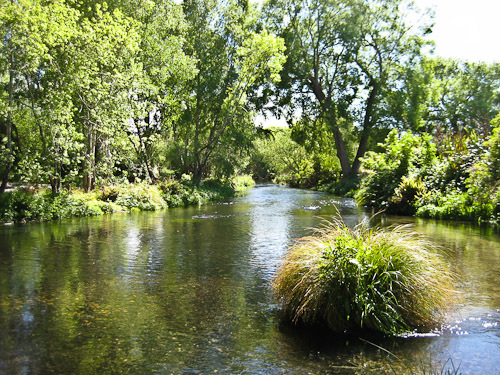 To me, these are just creeks that run through the reserve but they are called rivers here in New Zealand. Actually, this is a creek, the The Otukaikino Creek, once the south branch of the Waimakariri River. This trip to the reserve I saw a number of trout, ranging from small ones to reasonable sizes. 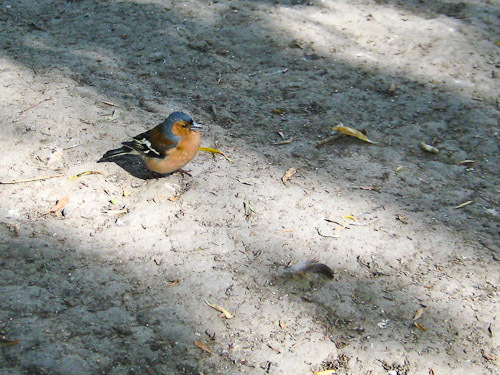 The Chaffinch (Fringilla coelebs) was introduced to New Zealand around 1862 in the Nelson district and spread to other areas. They feed on insects, fruits and seeds, mainly on the ground. This morning I went for an early trek to Englefield Reserve which is in the suburbs to the North-west of Christchurch. It is a nice little park but was devoid of birds except for Blackbirds and Song Thrush. That was a bit disappointing so I trekked on down to the Supa Centa and caught a bus into the City Center. I had a Bus pass which allows you as many trips in a day for $4.60, so I went out to the airport to suss it out for my departure to Australia. Then it was back to the city center and off to the Botanic Gardens which are behind the museum. 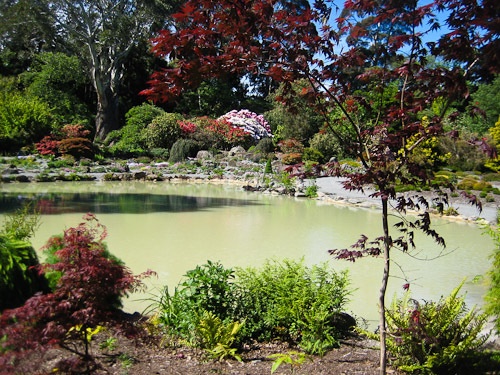 They are quite large and there are lots of exotic plants and a few ponds. I saw a few ducks and the ubiquitous Blackbirds and Song Thrush. I got to one pond and a pair of New Zealand Scaup (Fulica atra) were feeding right in front of me, sometimes coming to about a meter away from me. I got some great footage and you can see it in the video above. The male New Zealand Scaup has a yellow eye, while the female does not, but has a white face patch during the breeding season. 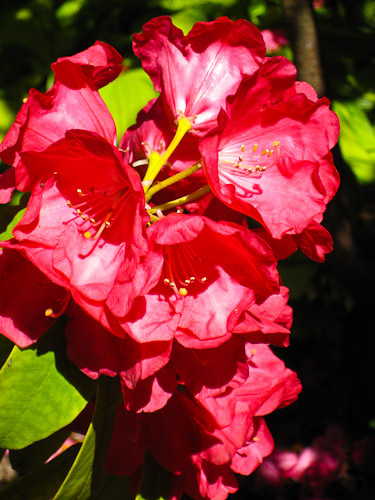 On the way back I took a few photos of the beautiful flowers and foliage. 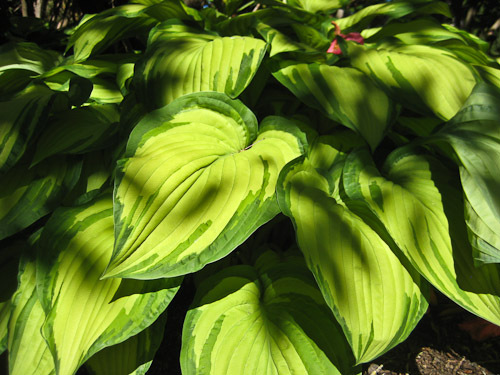 I was blown away by the green of these leaves. I have no idea what it was. 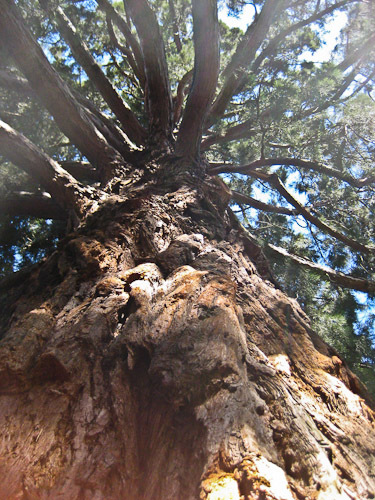 Then I took a photo of this really old gnarly pine tree. It was like something out of the Lord of the Rings, where the forest comes alive. 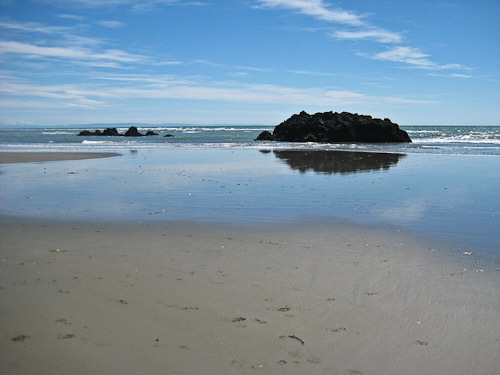 This morning I went to the Groynes, which is a reserve just over the road from where I am staying in Christchurch. There are lots of picnic areas and ponds which has a number of creeks flowing into them. There were heaps of Mallards in the ponds, and they congregated towards the kids who came down to the water to feed the duckies. The Groynes Reserve is just off Johns Road, which is also State Highway 1, heading towards the airport. 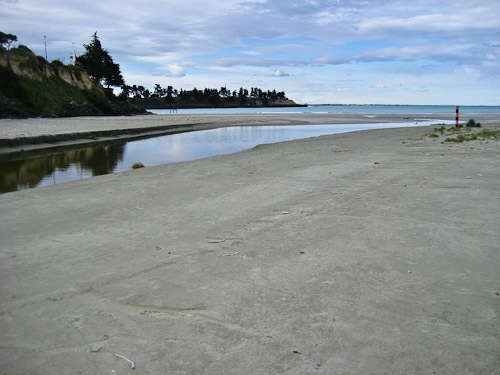 The reserve follows the Otukaikino River and the walking track is called the Waimairi Walkway. As well as the waterbirds in the ponds and creeks, the waterways are also home to trout and other fish, so it quite a popular spot for young kids who like to fish. I got some good footage of some Eurasian Coot (Fulica atra ). The Australian and New Zealand subspecies, Fulica atra australis is called the Australian Coot here in New Zealand. Ironically, it is called the Eurasian Coot in Australia. These came quite close to me and I think they were almost tame because of the constant exposure to picnickers. 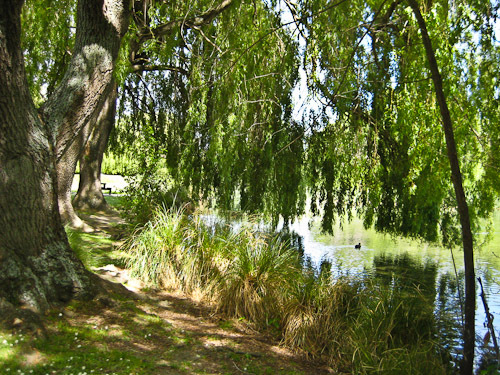 It is a very popular spot for the local Christchurch people. The coots had a few really ugly chicks following them around. The parents would dive down to get some food and then feed the chicks. Wikipedia says that Coots can be very brutal to their young when there are pressures such as lack of food. They will bite young until they stop begging, who then starve to death. The young are also commonly prey for birds like herons and gulls. I even got a lot closer to the New Zealand Scaups than I have before. They were not skittish like they usually are. They are a diving duck and can stay down for 20 or 30 seconds and can go to depths of up to 3 meters to feed on plants, fish, snails, mussels and insects. A strange site for me was a California Quail stanging up on the railing of a bridge. It was just standing up there on one leg. I have no idea what he was up to. I only did about half the walk around the ponds. I am going to leave the other half for another day. The long loop is 5 kilometers long and follows the riverbank through farmland to an old orchard on the way back. 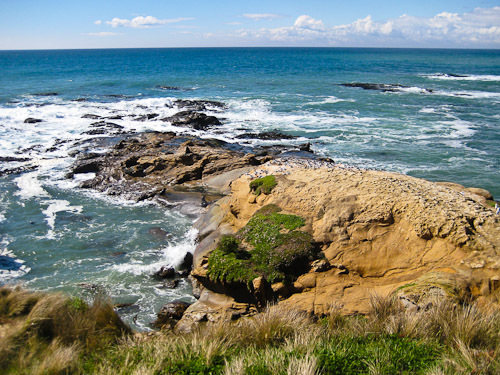 When I got to Timaru, I went out to Patiti Point and headed off for a walk along Saltwater Creek. There were some Paradise Shelducks and New Zealand Scaups and quite a few Little Pied Cormorants (Little Shag) and Pied Cormorants. When I first got there, they were all sitting on the train line, maybe waiting for the next train. I went walking along the train line, hoping that there will not be a train along soon and got some good footage of a Pied Cormorant, showing the identifiable yellow patch in front of the eye. They also have blue around the eye. The Little Pied Cormorant has black around the eye and is very much smaller. In the park there were the usual assortment of introduced birds – Blackbird, Chaffinch, Yellowhammer, etc. After that I went downtown to the port and went for a walk to what is reputed to be a wetland at Caroline Bay, but its really lame. Just some ariticifial pond with a couple of mallards quacking away. There were, however, some Black-billed Gulls on the beach. I just learned today that they are the rarest gull in the world. I bet they still hastle people for chips, but. Not much else except a few Masked Lapwings and Variable Oystercatchers. I camped somewhere between Timaru and Rangatati and this morning went to the Ashburton Domain to wander around. I saw an Eastern Rosella, which was very strange and filmed some cute little ducklings that were huddled up together. I also filmed some Redpoll in the trees. 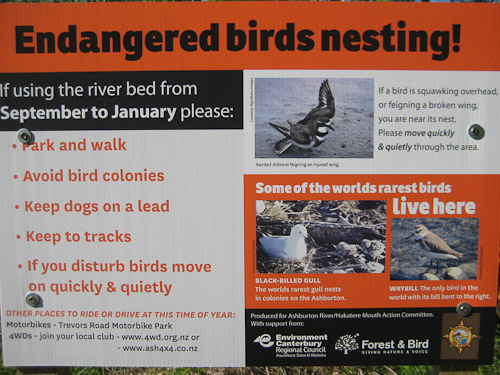 Next stop was the Ashburton River, where I saw this sign. That is how I found out that the Black-billed Gull was the rarest bird in the world. I kept my eye out for a Wrybill, as I had not seen one yet, but no luck. I think a lot of birds nest at the mouth of the Ashburton River as well. I had seen a Double-banded Dotterel displaying the broken wing trick. But alas, I did not spot any Wrybills, hopefully another time. After editing up my last video in Dunedin library, I headed north up the windy hills to the north along State Highway 1 (SH1). I saw this sign for a boat ramp and took off for the coast as it was getting dark. I found a nice spot on a hill for my camp and in the morning went down and had a look at Karitane . 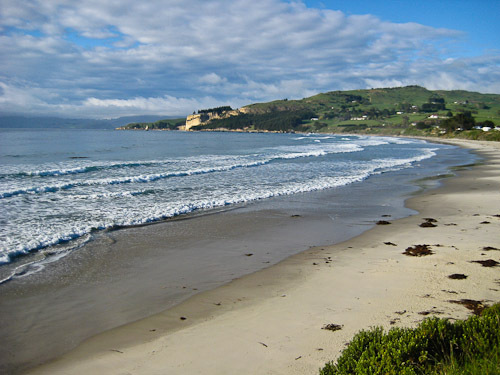 There is a nice surfing beach and lots of wetlands with the potential for some good birdwatching. In 1837 Long and Wright set up a whaling station at Karitane and in 1840 a settlement was established. I walked up to the Huriawa Peninsula, the site of an old Maori pa, or fortified hill. Then I carried on north and stopped at Shag Point. 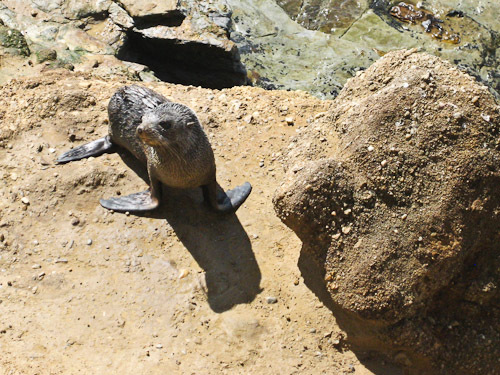 I was glad I stopped off here because I saw some New Zealand Fur Seals straight away. 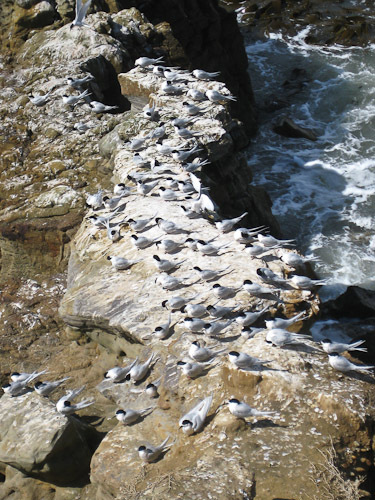 And then spotted a colony of White-fronted Terns who were within decent distance for some filming. Then, to crown things off, I saw a whole bunch of Stewart Island Shags and Spotted Shags. The Stewart Island Shag was a new tick for me, so I was well stoked about that. Shag Poing is well worth a visit, especially as the Stewart Island Shags and Spotted Shags are so easily seen. There are also Yellow-eyed Penguins there too, but I am not very sure that they are very easily seen there. 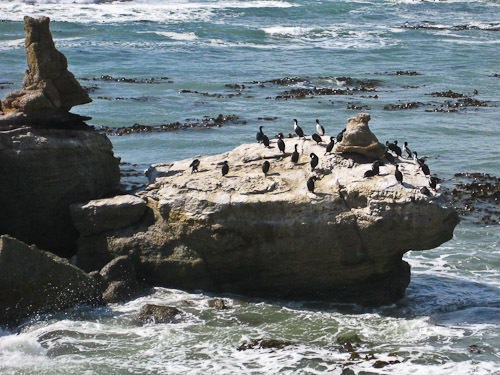 The best place for seeing Yellow-eyed Penguins is Curio Bay in the Catlins. I also got some nice shots of the New Zealand Fur Seals, so Shag Point was a good place for me. After that, I headed west and camped at Trotters Gorge. 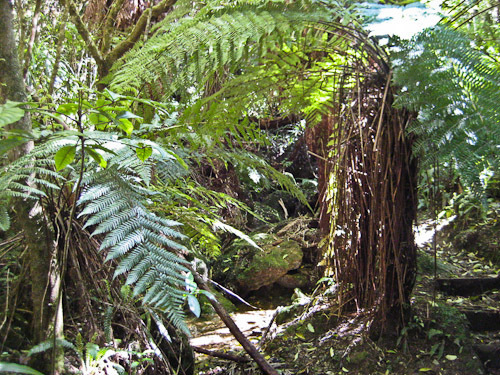 There is a wonderful creek and some beautiful rain-forest that you can walk through. I went for a massive walk along the creek, then climbed up this enormous hill to the top of the gorge. I was knackered by the time I got back to my camp. 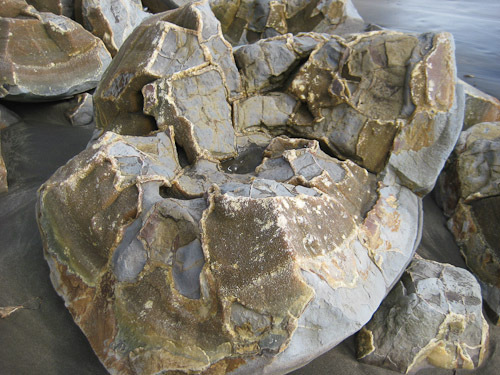 The next morning I went and had a look at the Moeraki Boulders which are some spherical rock formations formed by some complex geological processes that I could not really understand. They are really remarkable and well worth a look. The Sinclair Wetlands was my first stop off after I left Balclutha on my way to the Otago Peninsula. These wetlands are on the western side of Lake Waihola. They are doing a great job regenerating the bush back to native plants and trees. The area was covered in scottish heather which may look pretty but does not belong there. I just went for a wander around the edges of the waterways and happened upon some Redpoll (Carduelis flammea) which is an introduced Passerine from Europe. The Redpoll is the smallest of the finches that were introduced from Britain in the 1860’s. They are now very common throughout New Zealand. They were feeding together and as soon as I got a bit close they would all take off together. Up on the hill I managed to get a fairly wide shot of a New Zealand Shoveler (Anas rynchotis variegata). There are two subspecies, the nominate rhynchotis ( Australasian Shoveler), breeds in Australia and the New Zealand variegata breeds in New Zealand. They inhabit lowland swamps, lagoons and lakes. They feed on seeds, insects and earthworms. On the eastern shores of Lake Waihola near the picnic area I finally managed to get some footage of the Black-billed Gull (Larus bulleri). The Black-billed Gull inhabits inland lakes, rivers and estuaries. They have a thinner bill than the similar Red-billed Gull and a slimmer build. And of course they have black bills and black feet. As I was walking back I saw this Blackbird (Turdus merula) chick that must have fallen out of its nest. I had a look around for its parents but it seemed to have been abandoned. The Blackbird is an introduced passerine from Europe and they are very common in parks and farmlands. When I got to the Otago Peninsula this morning, it was windy and raining. I was not impressed. I went and had a look inside the Albatross Centre at Taiaroa Head and then went outside to the cliff top, hoping to see some Albatross, but no luck. I did manage to get some great footage of some Spotted Shag (Stictocarbo punctatus), a New Zealand endemic bird. If you look closely at the video, you will see small spots all over the back feathers. I guess that is why it is called Spotted Shag, doh!